In the food service industry, routine health inspections are a fact of life, but that doesn’t make them any less stressful. Whether you’re facing your first inspection or your 100th, you always want the inspection to go as smoothly as possible. Yet reaching this point doesn’t happen overnight. It comes with continual work and the institution of policies that benefit your business not only at inspection time but every day in between. With that in mind, here is our list of changes to implement in your business today so your next inspection goes as smoothly as possible. Yes, it is possible to look behind the curtain and plan ahead for what your inspector will look for. Contact your local health department and ask for a copy of the same form your inspector will use. Once you have it, put yourself in their shoes and walk around your facility objectively. Will the inspector find each aspect of their checklist to be satisfactory in your business? If not, now’s the time to start implementing changes. Institute long-term, time-saving cleaning solutions. 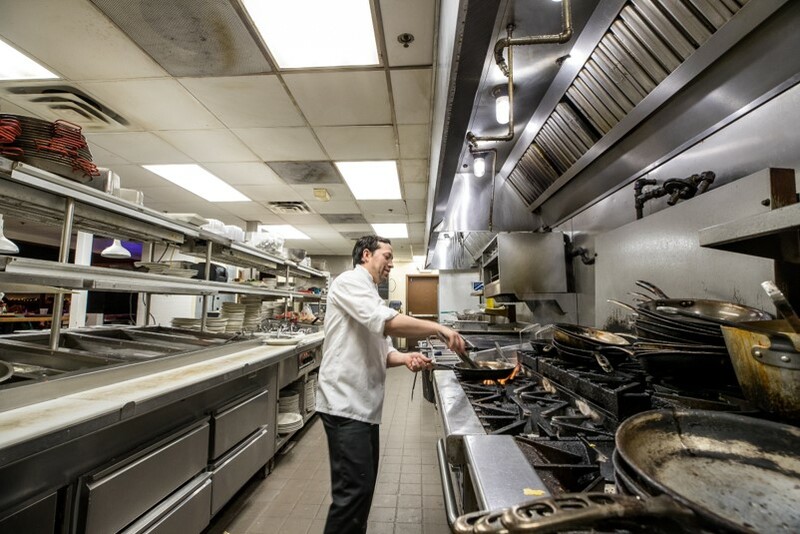 A comprehensive health inspection will consider every nook and cranny of your business, exposing failures in cleanliness, even the areas that don’t get cleaned as often as they probably should. Like your hoods. However, by installing a hood-cleaning solution like AutoMist, you erase one of your most painstaking cleaning projects with an entirely automated solution. AutoMist cleans your hood, flue and fan every day with a powerful spray mixture of detergent and water to prevent hazardous grease buildup. Recognize that it’s more than just cleanliness. Food preparation also plays a vital part in any inspection, so take the time to review the food your employees are producing. Are meats being cooked to the appropriate temperatures? Are employees following proper personal hygiene protocols, and have steps been taken to ward against cross contamination? If you find a shortcoming in any of these areas, correct it now before the inspection. Make life impossible for vermin. We’ve all seen stories of restaurants shut down because of an infestation by roaches or rats, and despite the immediate thoughts that come to our mind, this outcome doesn't always mean management was completely negligent. In truth, vermin don’t need much to set up a base or see your business as a hospitable place. Keeping your business clean is step one, but you also need to eliminate standing water sources — even from areas where cleanliness isn’t paramount, like a mop sink. You should also take a proactive approach to your trash handling. Remove it from the inside of your business as quickly as possible and those attracted to it will go somewhere else. While you may not look forward to a visit from the health department, the inspector is not your enemy. They are simply doing their job and fulfilling an important role. Work with them. Answer the inspector’s questions promptly and ask your own if something doesn’t make sense. Show you are committed to the relationship and, ultimately, to the betterment of your business. And if your inspector finds flaws during their inspection — and they will probably find a couple of them — be sure to address those shortcomings as quickly as possible. But above all, be courteous and polite throughout the inspection and work with your inspector. You, and your business, will benefit because of it.